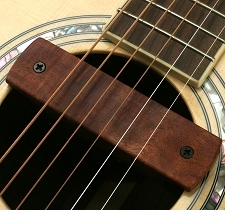 No easier way to get the sound of your acoustic guitar...the NATURAL sound of your acoustic guitar to your amplifier. 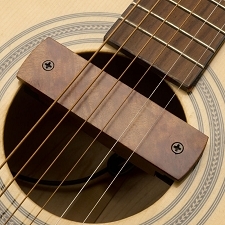 The GFS Solid wood magnetic pickup simply attaches via two clamps to your soundhole. SIMPLE. 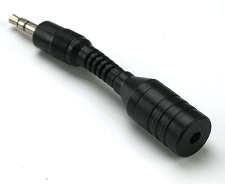 This is the 3.5mm plug version which you would use to plug into the AUX input of our EAP-510 blender preamp. No routing, no cutting. 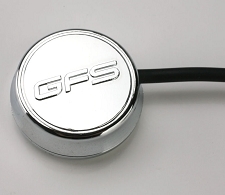 This is the 3.5mm version with a 2 foot lead, for use with our EA-P510 Blender. You plug this unit in place of the acoustic microphone. 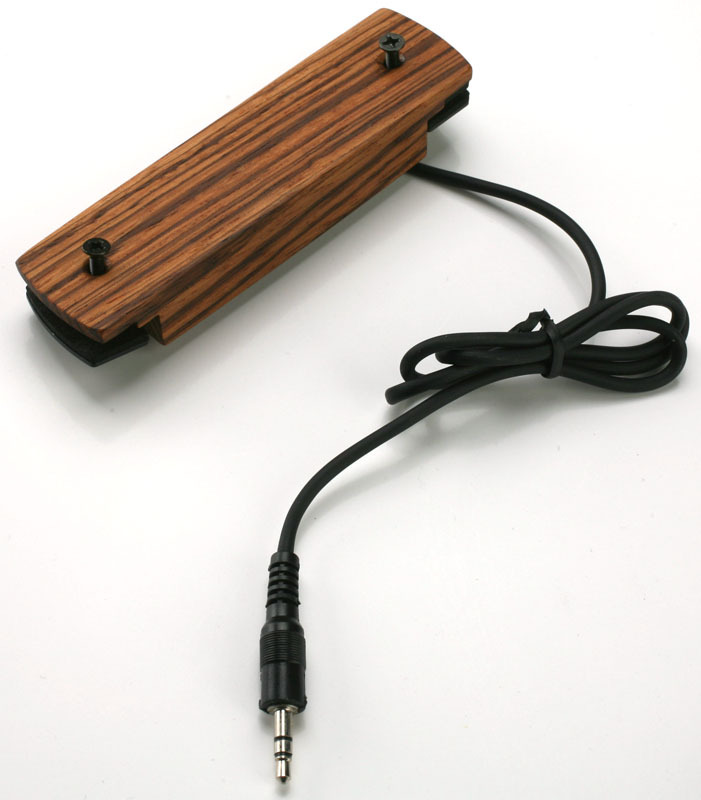 A better choice for louder playing environments. NEW- Use our optional EJP35 output jack assembly to simply plug the pickup into the endpin jack- No routing, No mods, NO batteries! 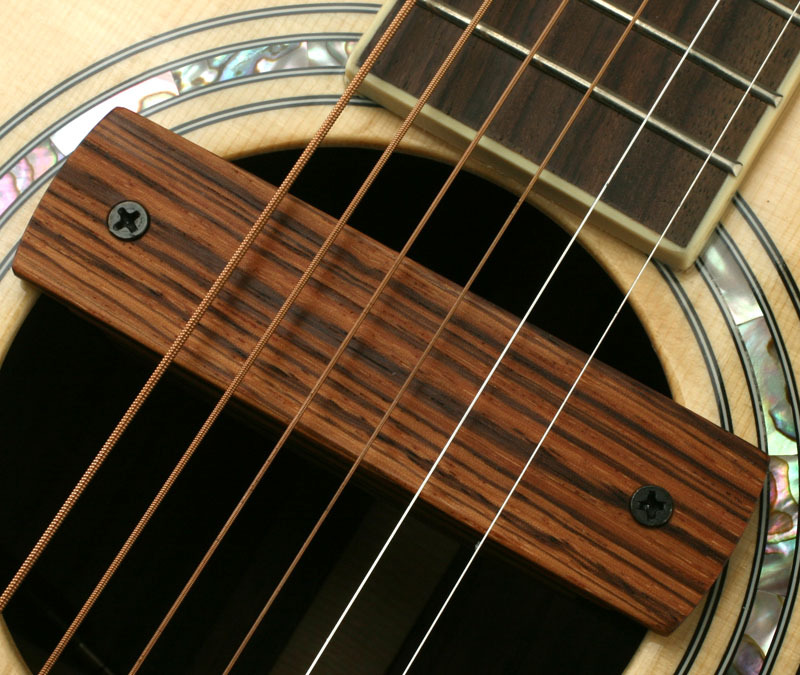 Don't confuse this with generic transducers out there- this is a premium unit with incredible sound!